This LCD digitizer is only for iPhone 7 plus 5.5" screen replacement . 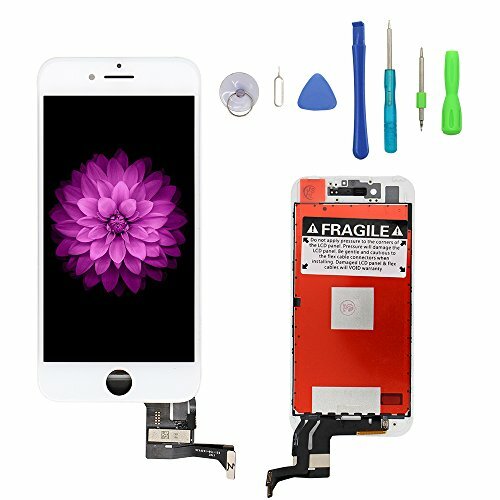 This LCD display is only for iPhone 7 plus 5.5" screen replacement This LCD touch screen is only for iPhone 7 plus 5.5" screen replacement. .This LCD digitizer is only for iPhone 7 plus screen replacement . .All lcd screens 100% Inspected by professional QC team in good condition before shipping. Fast Shipment From US Amazon Warehouse FBA. .To replace the faulty & defect LCD Display Touch Screen Digitizer Assembly. Such as the screen dose not respond properly, display problems, distortion pixels, cracked LCD screens, wrong color issues and old & dead LCD. .Package included 1* iPhone 7 plus white LCD screen , 1 set* Installation Tools[As the picture shows]. Notice: Home button NOT included. .Please watch the installation video of iPhone 7 plus screen replacement at Youtube ,any problem,please feel free contect us,thank you for your patience. If you have any questions about this product by YOU XIN, contact us by completing and submitting the form below. If you are looking for a specif part number, please include it with your message.